Stephen L. Weiss is a twenty-five-year veteran of Wall Street and the Managing Partner of Short Hills Capital Partners, LLC. An active investor, markets expert, and public speaker, he is also a CNBC contributor, appearing regularly on Fast Money and Fast Money Halftime Report. 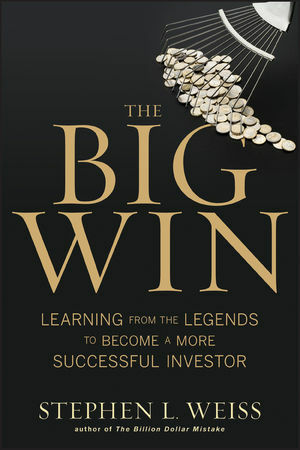 Weiss is the author of The Billion Dollar Mistake: Learning the Art of Investing Through the Missteps of Legendary Investors (Wiley), which has been translated into Chinese, Japanese, and Korean versions.